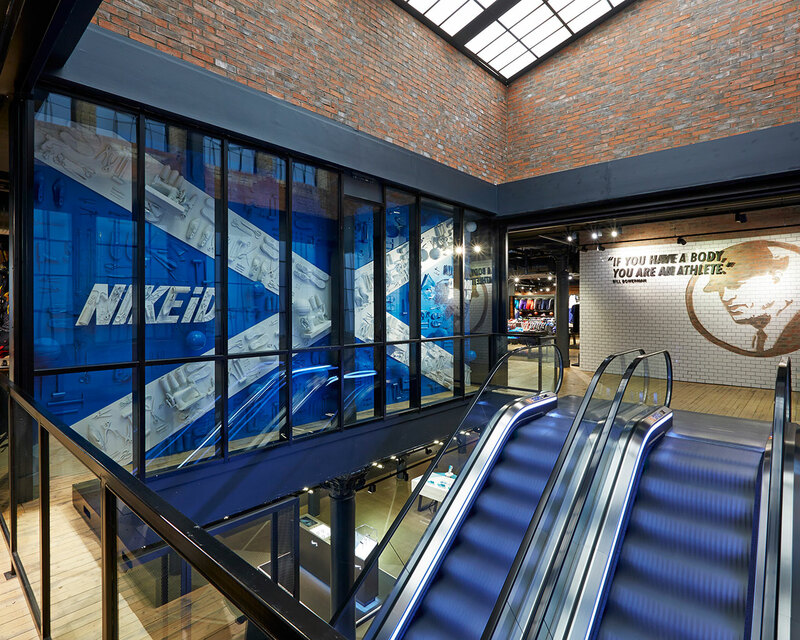 When Nike launched its Custom Build Range, a feature wall concept was conceived to be fitted at Nike’s Glasgow Flag Ship Store. Three Point were commissioned to make this vision a reality by developing, producing and installing a giant false wall, adjacent to the main escalators. 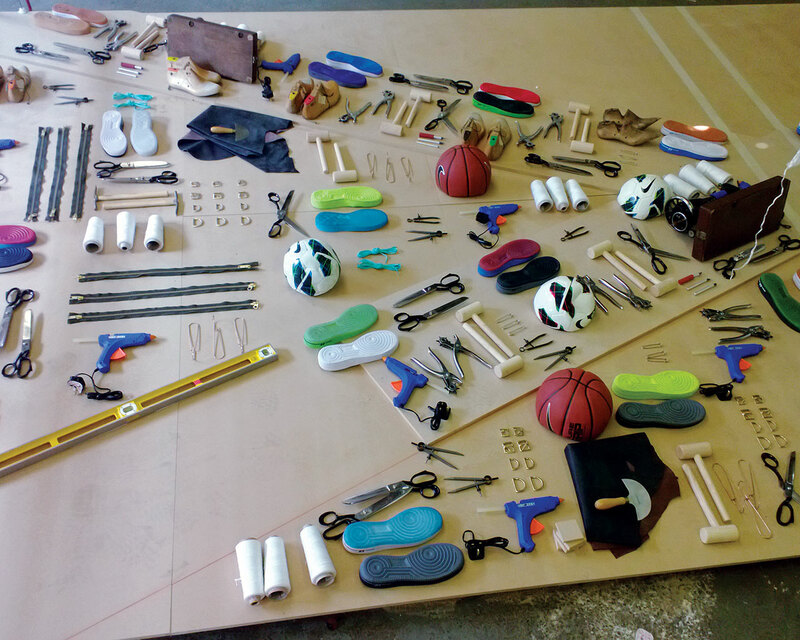 Working sewing machines, authentic shoe making equipment, and other props including training shoes, soles, basketballs and footballs were all procured and combined to help fashion a 7m wide, 3 dimensional flag of Scotland. Every product and its position within the scheme was meticulously planned. This meant that all props were laid out to carefully check spacing and desired effect before spraying and permanent fixing. The giant wall had to be manufactured in sections to enable a complete test build in Leicester, before dismantling and transporting to Glasgow. 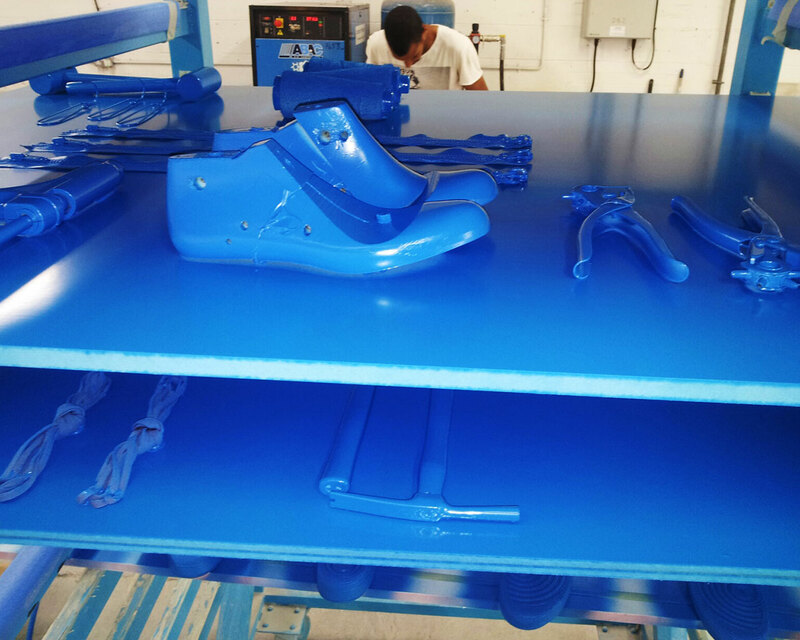 A 7-person strong team engaged in installation and fitting during the store’s overnight closing period, taking a total of 12 hours to complete. The completed wall was both eye catching and engaging to customers, which provoked huge amounts of local interest and press.